Hi! I’m back after done managing all thesis stuffs and now I’m officially have an- S.Si (B.Sc) title after my name yeay! As I promised you, I will post more often and of course, you can shoot me an idea of what I should write about. 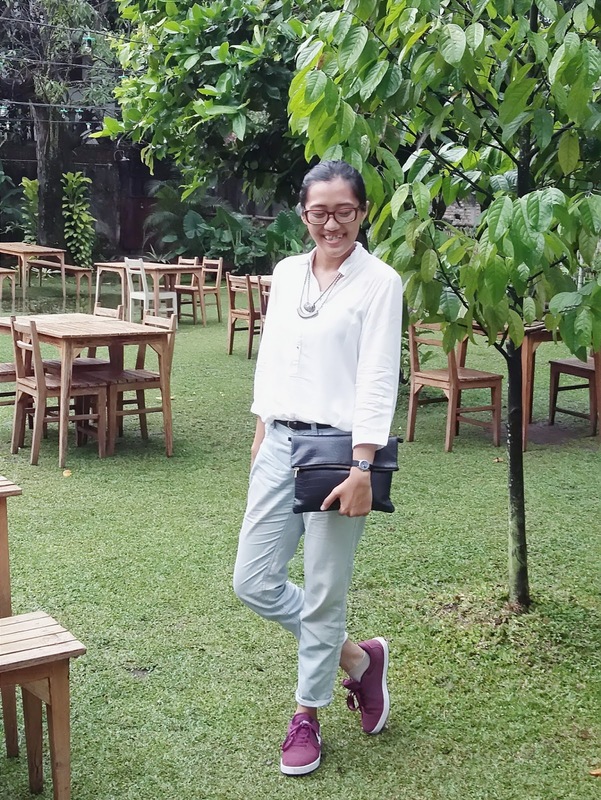 This time I’m sharing you some of my latest outfit pics, in the beginning of 2016. As I graduated from my uni and I’ll be 22 in few weeks, I’m feelin a lil bit changing in styles. I feel more grown up, but I still holding tight to those youth vibes. 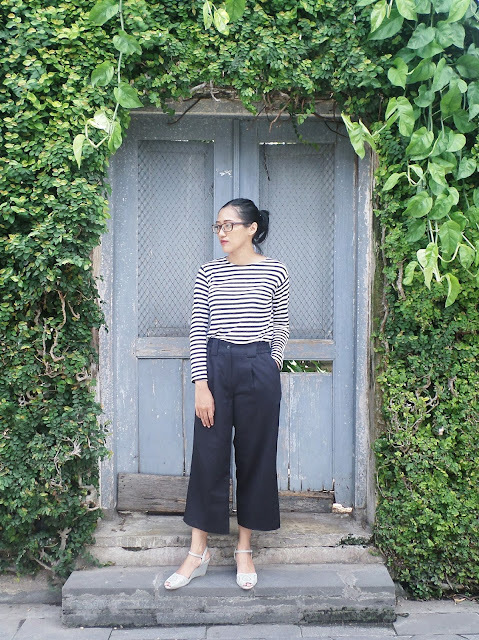 So here’s some outfit post, mixing my grown-up soul and my forever-young vibe. 1. 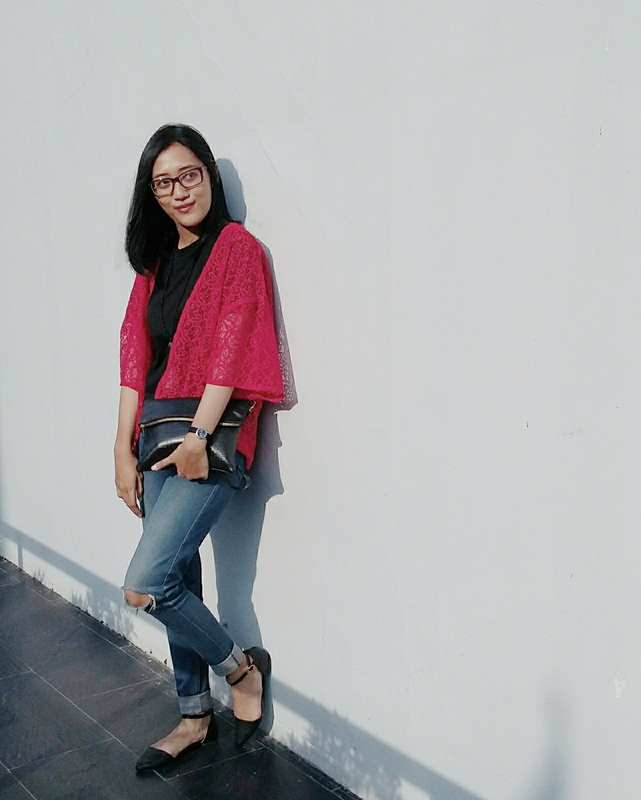 This time I’m wearing this beautiful red lace outer, as a statement of my grown-up soul. But I paired it with ripped jeans and leather clutch, to give a youth touch. The thing is, you can rock this style and still, look effortless and classy at the same time. And not to mention, I complete the look with my classic ankle strap shoes, to get a timeless look. 2. In the second pic, I’m wearing all super-cas outfit. I used to pair my stripe top with jeans or skirts, but now as I’m growing up, I choose to pair it with my black cullotes and grey wedges. 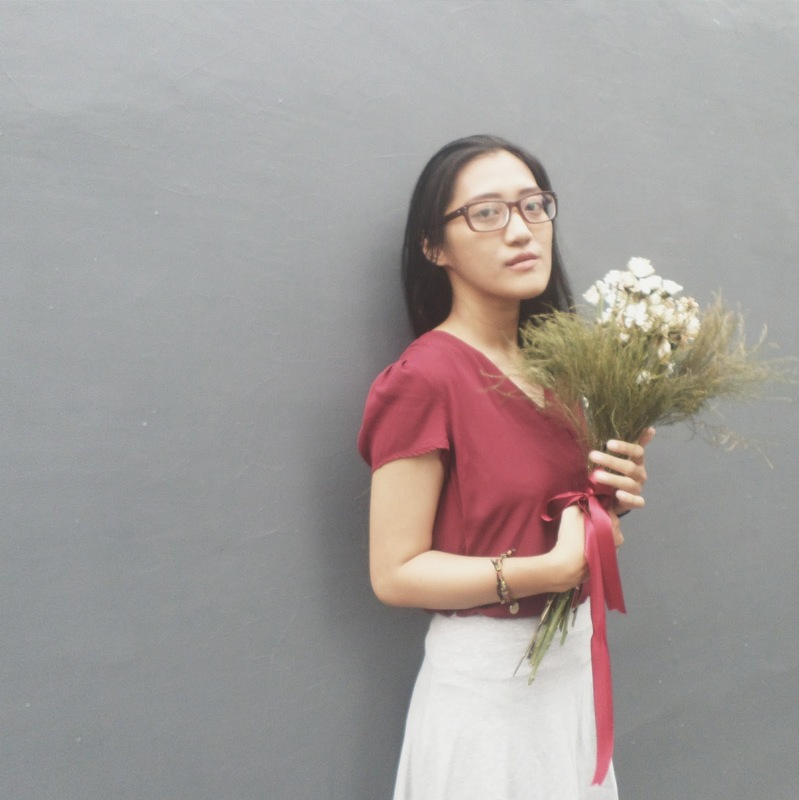 They give you simple, chic, classic, and effortless look. You know, I’m all about classic and simple. I don’t like it when dressing get too complicated. 3. Okay now down to the last look. This time I’m wearing loose white shirt, and my pale-blue jeans. Actually they are basic items that everyone have in their wardrobe, right? And I chose to pair them with my magenta sneakers! (I know I know, I can’t handle to not wearing colors). The colorful sneakers instantly gives you the youth-look. 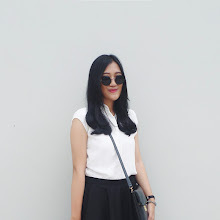 And for the grown-up part, I decided to wear some necklace and complete them with black clutch. This for me is an ultimate daily look that can match any occasion.